Telesto - Earthquake Sound Corp.
Earthquake Sound presents its creation from the TITAN series, the Telesto towers. Their sleek, slim exteriors are matched only by their performance. The main Telesto cabinets are built from multi-laminations of steam bent, high density fiber board. These laminations offer extreme rigidity as well as lower cabinet vibrations. These single pieces of egg shaped walls offer minimum wall reflections and allow the cabinets to be transparent, dynamic, and neutral. To maximize floor coupling in low frequencies, the Telesto towers are equipped with XLT EQ8 extra long excursion subwoofers that create tight, fast, and accurate low frequency extension. 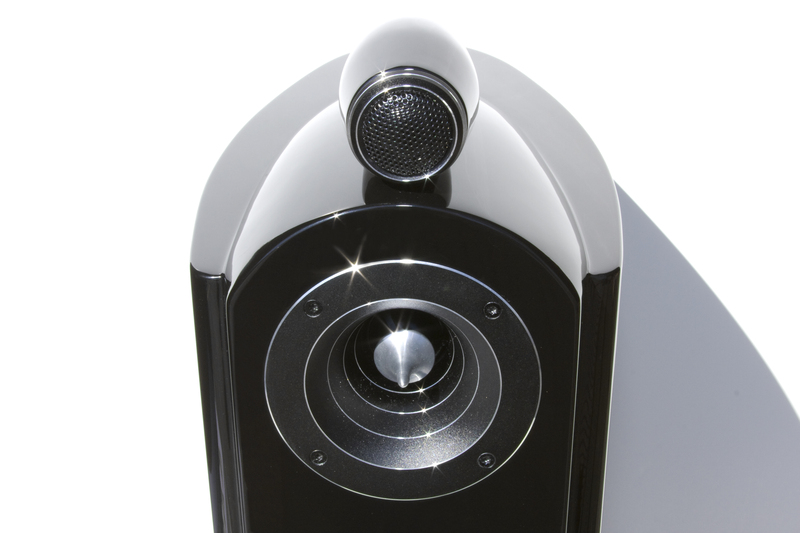 The EQ8’s are mounted 90º off-axis from the front of the speakers. This allows for a slim profile while delivering massive bass response. With a name like Earthquake, audiophiles tend to expect more, and the Telesto delivers. The mid-band of the Telesto towers are equipped with an array of type loaded two 4” carbon fiber drivers. In an array type design, SPL losses due to the distance between the speakers and the listeners are 4 times lower than conventional design. The dual carbon fiber drivers are fast, neutral, and voice tuned. The Telesto towers are crowned with two conically shaped epoxy cabinets that harbor the T1 tweeter and the M2 midrange. The T1 and M2 are placed at about 3 feet elevation from the base. This allows the speaker to produce linear response that is not obstructed by furniture and that is more direct to a sitting listener. The M2 is a 1.25” super midrange that delivers upper mids, and the T1 is a 1” silk dome with a Neo motor structure. The design of the T1 tweeter module on top of the cabinet in a separate enclosure achieves perfect positioning for wider dispersion and better image stability. The T1 is tuned to allow correct phase integration with M2, the midrange driver. The enclosure designs are optimized to deliver the ultimate in sound quality. Each Telesto is voice tuned to deliver a transparent performance. As AV front speakers or a conventional stereo system, the Telesto will deliver a benchmark in performance and style that is unprecedented.